When you visit someone’s house or enter a place of business, there is always a possibility that you could get injured on the premises. In California, a person who owns, possesses or controls real property has a duty to exercise ordinary care in the maintenance of the premises in order to prevent exposing others to any unreasonable risk of harm on the property. This means that a property owner is responsible for discovering a dangerous condition on the premises and taking the necessary precautions to avoid injuring a foreseeable victim. 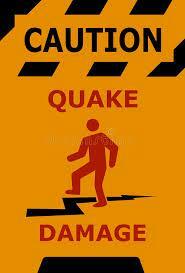 A foreseeable victim is any person who is within the zone of danger. A property owner satisfies the duty of exercising reasonable care by fixing the dangerous condition in a timely manner or by providing foreseeable victims with a warning of the hazard that exists on the premises. If you or a loved one have entered another’s property and been injured because of a hazard on the premises, you are not helpless, you have a right to fight for the just compensation you are owed for your injuries. At the San Diego Injury Law Office we are an experienced personal injury firm with an established reputation in San Diego for holding property owners accountable to slip and fall victims! Contact us now at (619) 343-2992 to discuss the potential of you claim, our legal experts are standing by to provide you with a free consultation today. A slip and fall is the most common cause of a personal injury on real property. 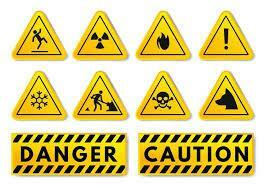 There are four types of hazards that will result in a slip and fall cause of action. First, slipping and falling because of a wet surface. Whether the surface is wet as a result of natural weather condition or caused by a spill, upon discovery of the wet surface, a property owner is required to either clean it up in a reasonable amount of time or post a warning of the wet surface for any foreseeable victim to see. Failure to do either one will result in a breach of the property owner’s duty to exercise ordinary care in the maintenance of the premises. Second, slipping and falling because of an obstructed surface. The obstruction could be manmade like a loose rug and uncovered cables or caused by nature like improperly cleared snow and floods. Upon discovery of the obstruction on the premises, a property owner is required to either correct it in a reasonable amount of time or warn potential victims of the obstruction on the surface. Failure to do so will result in the property owner’s liability to any foreseeable injured slip and fall victim. Third, slipping and falling because of a damaged surface. Property owners are required to warn foreseeable victims of any damages on the premises that could cause a person to slip and fall. For example, uneven walking surfaces, upon discovery of the damaged surface, a property owner is not required to make repairs but if repairs are underway then they must be completed in a reasonable amount of time. Failure to warn or complete the necessary repairs in a reasonable amount of time will result in a slip and fall negligence cause of action. Fourth, slipping and falling because of a dangerous condition on the surface. A dangerous condition can be naturally occurring like ice, fire and snow or it could be manmade like hazardous materials or vicious dogs on the premises. 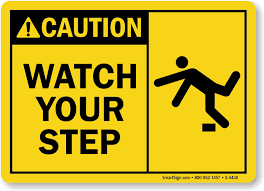 A property owner is required to warn others of any reasonably discoverable dangerous condition that may exist on the surface and could cause a foreseeable victim to slip and fall. Failure to make foreseeable victims aware of the danger on the surface, will result in the property owner’ liability for any injury that occurs from the dangerous condition. 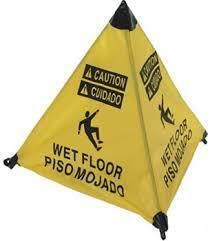 A slip and fall is a negligence legal cause of action. This means that in order to recover compensation for your injuries, you will be required to prove that the property owner’s negligence caused you to slip and fall on the property. While this may sound like a fairly simple concept, negligence cases are actually very complex because of the amount of documentation and various legal technicalities that are required to prove a slip and fall case. You will need an experienced personal injury attorney with a vast understanding of negligence law and a successful track record of winning slip and fall cases. At the San Diego Injury Law Office, we know first-hand how technical negligent cases can get and are prepared to walk you through the necessary steps to prepare a winning slip and fall cause of action. First and foremost, we will need to establish that you were a foreseeable victim to whom the property owner owed a duty to exercise reasonable due care in the maintenance of the premises. To prove the existence of this duty of care, we will have our legal analyst interview you to learn about your relationship to the property owner, the reason for your presence on the property, and the extent of your injury. Upon confirmation that you are a foreseeable victim to whom the property owner owed a duty of care, our obligation is to identify the property owner’s breach of that duty. Our skilled personal injury attorneys will meet with you to thoroughly discuss the particular facts in your case and specifically identify the property owner’s negligent conduct. If necessary to prove breach, we have at your disposal our private investigator to research prior similar claims against the property owner, to interview potential witnesses and take pictures of the scene of the accident. Once we have successfully demonstrated the property owner breached the duty owed to you by exposing you to an unreasonable risk of harm on his or her property, we will focus on causation. For the causation aspect of a negligence claim, it is imperative that you take pictures of your injuries and seek medical attention immediately after your fall! Our team of legal experts will request the medical records of your injury, billing statements and any pictures that you have taken to show that the property owner’s failure to exercise reasonable due care in the maintenance of his or her premises produced your specific injury. With the San Diego Injury Law Office in your corner, rest assured that you will have the best slip and fall advocates to hold the property owner accountable for the foreseeable medical costs that resulted from your injury! Whether you have suffered a minor sprain, a concussion, a fracture, paralysis or a coma as a result of a slip and fall, at the San Diego Injury Law Office, we understand the wide range of injuries that may result and know that even the most minor of injuries can be financially devastating and some of the more serious injuries can be life altering. To protect personal injury victims, California has established three categories of damages available to personal injury victims in California, actual, general, and punitive damages. If you or a loved one has suffered an injury because of a slip and fall accident, the type of damages that you may recover will depend on the strategy chosen by your attorney to prove your loss as a result of the slip and fall. Actual damages require that you prove the monetary value of economic loss that you suffered, this amount will include medical expenses, lost wages, loss of future earnings, and future medical expenses. On the other hand, general damages will require you to prove the non-monetary loss that you suffered, this includes any mental or emotional suffering, the degree of physical pain, loss of quality of life and loss of consortium that may have resulted from the slip and fall. Whereas punitive damages are exemplary damages that are limited to slip and fall cases where the property owner is found to have been grossly negligent. Gross negligence is conduct that is considered reckless and displays a conscious disregard to the safety of another. To obtain an award for punitive damages in a slip and fall case, you must prove that the property owner was particularly willful or reckless in his or her failure to exercise reasonable due care in the maintenance of the property. In deciding the amount to be awarded for punitive damages, the court looks at the property owner’s reckless conduct and the victim’s own contributory negligence leading to the slip and fall and the extent of the injury that was suffered by the victim. At the San Diego Injury Law Office, we are a recognized personal injury firm in San Diego with a knowledgeable legal team of experts who specialize in obtaining maximum damages for slip and fall cases. Our goal in your case is to gather all the documentation necessary to strengthen your personal injury claim and fight for the monetary compensation that you and your loved ones deserve!